The Decorators, Chapter 2: Naphisha, The Perfect Setting. Fantastic, yes? I thought so, too! To me her backdrops looked polished, yet not overdone. Impactful and yet still elegant. Naturally, I was really looking forward to my meeting with Naphisha, which was scheduled for a month later (August 2012)…except that she cancelled on me the day of. In fact, just two hours before. She said she was sick, and fair enough, it happens. So, we rescheduled. This time for October 2012. And guess what? Again, she cancels. On the same day. Now for me, someone who lives downtown Toronto, this was particularly annoying because I don’t have a car. So to arrange these meetings, I had to take public transit to get to my in-laws home in Mississauga, whom I coordinated with in advance, so we could then drive to the meeting all the way to Scarborough. So annoying! Even still, I emailed her back to reschedule. And then nothing. Radio silence. In fact, even to write this post I went back to my email history to check our correspondence and lo and behold there was no response to my email to reschedule. And so, that was that. For me, The Perfect Setting was the perfect disappointment, especially because I had in my mind that I wanted her. But when she went MIA, I said to myself: if you have to chase a vendor for your wedding, BEFORE you even hire them…then DON’T HIRE THEM. And that my friends, was the moral of this chapter. Who here worked with Naphisha/The Perfect Setting? Thoughts? Reviews? Post away! Previous postDrum-roll please . . . The Decorators. 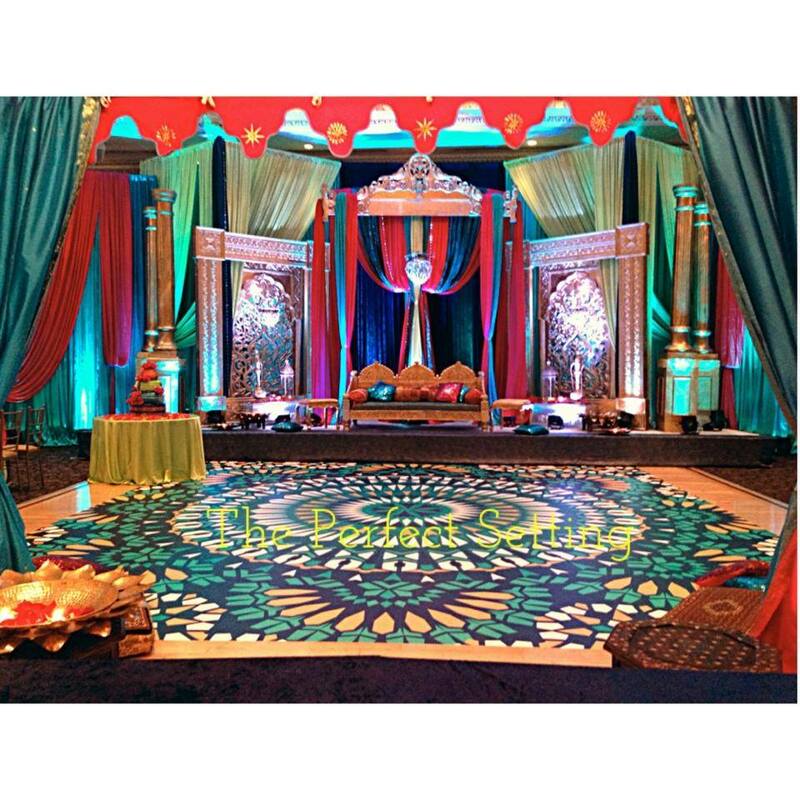 (Chapter 1 – Raj, Dream Party Decor). Next postThanks for the love BuzzFeed! Im surprised to read this. I called her a week before my wedding and didnt even meet her. I told her on the phone about exactly what I wanted and she did it all in an amazing price! She was my life saver. Hey! That’s amazing that you had a good experience with her!! Sometimes its so hit or miss with vendors I think! Congrats ! 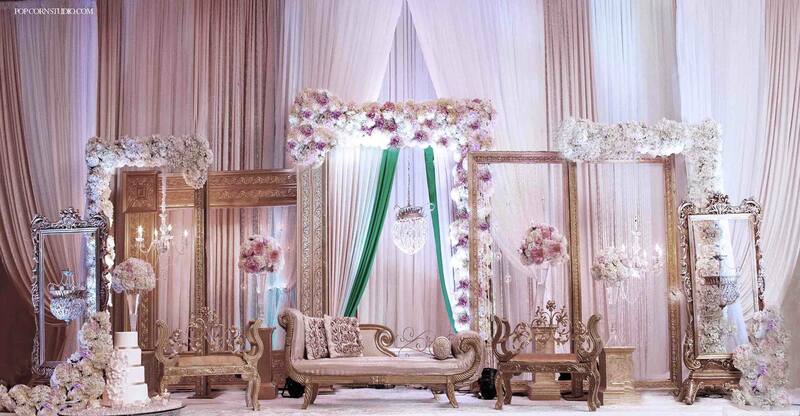 for getting the right wedding planner for the wedding. I also had Naphisha do my decor and she was amazing. She was difficult to get a hold of via phone at times but would always get back to us when available and was quicker at replying by email. She did a wonderful job of capturing my vision and actually went above and beyond. Our guests are still talking about our decor. I would post a pic here if I could. Hey Maha! I would love to know approx. how much decor cost you if you don’t mind? I’m having the same problem with her, and I’m a month away from my wedding, its been a week I’ve been trying to call her, I had an appt with her today. Guess I need to find a new decorator. Oh no! I hope it all works out!! She did something similar but worse to my friend. She booked and took deposit then called a month before and said she is double booked to another client so she’s not going to do her decor and returned her deposit. She had to pay double money to book a decorator last minute.. It’s a shame that some people in our community done value commitment. That’s awful. I have no respect for conduct like that, its so unprofessional and shows zero integrity. Sigh. I love your blog Safa – and am also accumulating tips from here for my own events. I’m looking forward to the review of your experiences with the other decorators. Thanks Natasha!! I need to get on the next one!! Hey Safa, I loved reading your blog! I loved Naphisha’s work as well and would have loved to book her but countless emails and calls to her to book a consultation and no response. Guess she doesn’t want our business.